Opening your window to let nice fresh outside air in? Think again. Some screens are made from fiberglass. 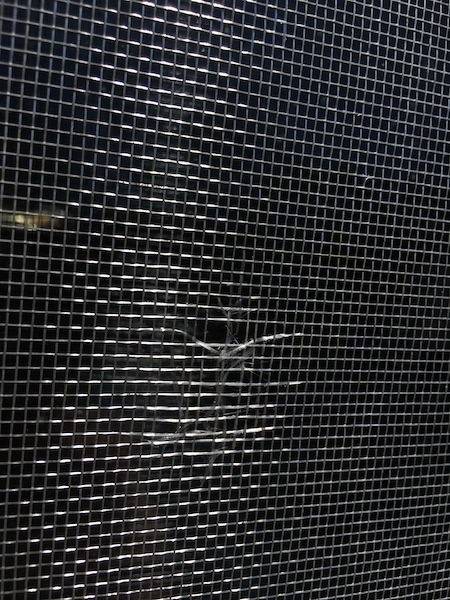 If your window screen is not in perfect condition you just might be getting microscopic pieces of glass floating around. The screen shown above is only a year old. 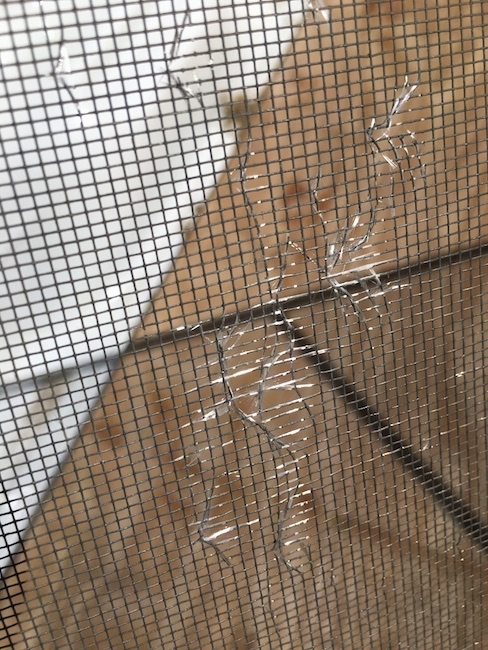 A window screen that is only a year old with fraying glass fibers. 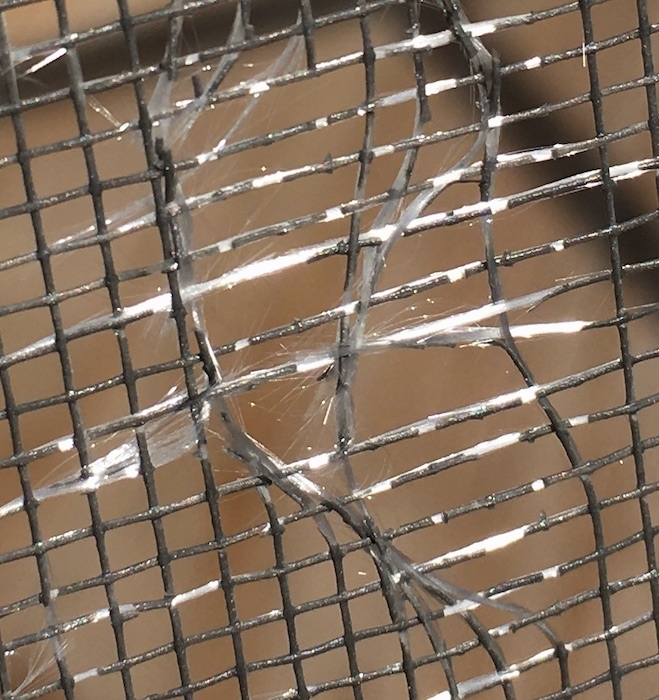 Close up of a window screen in a house where the coating around the fiberglass is worn away. 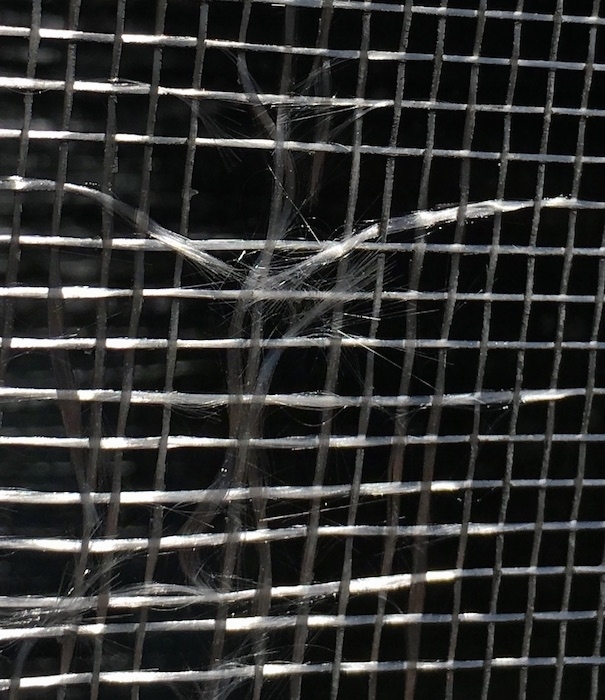 When the window is opened the air must past through the glass fibers. 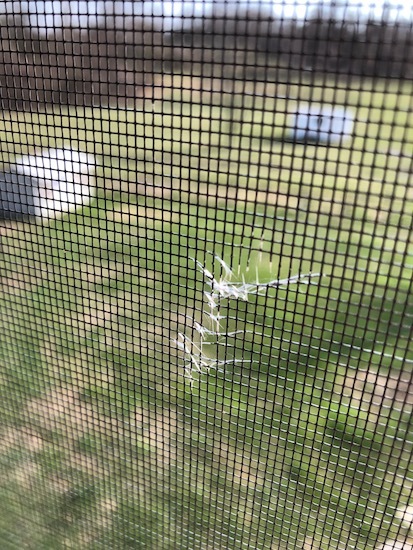 A window screen taken off of a window in a home.